With strong solar inverter electronics expertise, a successful public offering and a lot of cash, SolarEdge has risen to market dominance. But its future growth depends on new products and expansion into new markets. That's why the Israel-based firm is acquiring a major stake in Kokam, a veteran provider of lithium-ion battery cells, batteries and storage systems. Kokam is headquartered in South Korea and has a long list of battery accomplishments to its name. 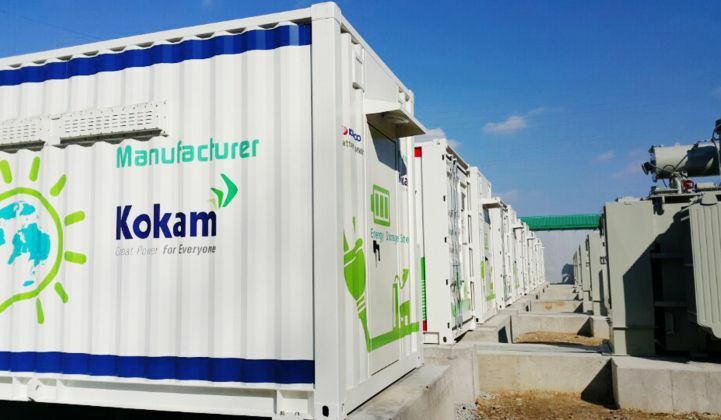 With 232 megawatts of energy storage systems deployed, Navigant ranks Kokam the fifth-largest battery vendor in the world. Its lithium polymer batteries are also used in submarines and on the Impulse 2 solar plane. SolarEdge is acquiring approximately 75 percent of Kokam's shares for $88 million. It aims to buy the remaining Kokam shares through open-market purchases, with Kokam eventually becoming a fully owned subsidiary of SolarEdge. The acquisition takes SolarEdge "a further step toward making solar installations smarter and more beneficial," according to CEO and founder Guy Sella in a release. SolarEdge is no longer just an inverter or optimizer company. Here's a quick rundown of its new products that target traditional and adjacent markets. SolarEdge acquired uninterruptible power supply builder Gamatronic for $11.5 million earlier this year. The company introduced inverter-embedded EV charging systems last year. SolarEdge's cloud-based virtual power plant management system could transform a set of inverters and PV optimizers into points of a distributed energy resource control platform, balancing PV, batteries and EV chargers. The firm sells a home energy monitor, which provides details of energy usage. SolarEdge has displayed a smart water heater module, which trims grid usage by better using solar PV for water heating. The company has moved from the residential to the commercial market. 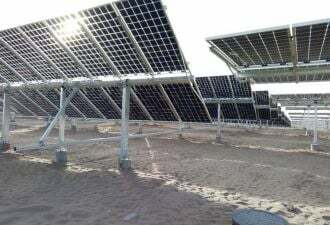 Now it's moving into the utility-scale inverter market, claiming more than 200 megawatts of utility-scale power electronics installed. SolarEdge's Kokam acquisition is emblematic of an inverter industry looking to incorporate energy storage and diversify its offerings. SolarEdge reported first-quarter 2018 revenues of $209.9 million, up 82 percent from the same quarter last year. Record second-quarter revenues were on the high end of guidance at $227.1 million, with gross margin at 36 percent along with 985 megawatts of inverters shipped. GAAP net income was $34.6 million. As of June 30, 2018, cash totaled $437.6 million. These are strong numbers for a solar hardware supplier. SolarEdge provided revenue guidance for the third quarter to be within the range of $230 million to $240 million. But that was before the Trump administration unveiled tariffs on $200 billion of Chinese goods — and that included solar inverters with a 10 percent tariff, rising to 25 percent on January 1. Speaking with GTM last month, Scott Moskowitz, a senior solar analyst at Wood Mackenzie Power & Renewables, said SolarEdge's considerable China-based supply chains will be impacted by tariffs. He noted that SolarEdge plans to shift production of North American-bound products to other markets — "but it will take some time to adapt."